OVERALL, THERE IS “little evidence that moderate mobile phone use is associated with any cancer in the head and neck region” states a new report by the European Commission. Investigating the potential health effects of exposure to electromagnetic fields, researchers state that three large-scale studies, which compared two groups of people, shows this to be the case. There is only one case-control study which shows risk increases at moderate usage levels. However, the report states that the results are incompatible with observed time trends in incidence rates and can therefore not be used for hazard assessment. The report states that evidence is more “controversial for heavy users of mobile phones” as the term “heavy use” is a qualitative characterisation and it can be difficult to quantify. Exposure assessment in epidemiological studies of mobile phone users is “complicated” said the report, due to the fact that little is known about the interaction mechanism between the electromagnetic fields emitted from the phone and the biological organism. Also a long term user has often used more than one phone model, said the report and sometimes also more than one mobile phone system so it can be difficult to measure a persons exposure and dose measure. Researchers state that different mobile phones have different output power and the change is quite large when you compare the first generation phones with the latest ones. 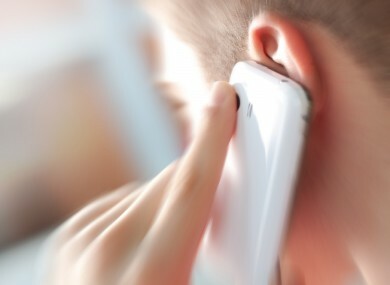 Although there is little evidence that moderate use of mobile phones is associated with any cancer in the head and neck region, a prospective cohort study in adults investigating long-term effects of radio frequency (RF) fields associated with use of mobile phones “is recommended with a high priority” said the EC. Whether children show an increased tumour risk to RF fields remains unclear, said the report, adding that further studies of the effects of RF fields associated with mobile phone use and brain tumours in children are also recommended as a high priority. “These should include children of a younger age than those that have been studied to date, and be of sufficient duration to include assessments of cancer risk later in life,” said the researchers. They stated that the study should be of sufficient size and duration to allow the evaluation of realistic effect sizes and should reflect the latest developments in exposure assessment. “There are some differences in energy absorption from mobile phones between children and adults,” stated the report, adding that “children’s heads are smaller and, therefore, mobile phones expose a larger part of their brains”. The report stated that children’s tissues, like bone marrow, have a higher electrical conductivity due to larger water content and therefore, local energy absorption can become higher in these tissues. Email “‘Little evidence’ that moderate mobile phone use is associated with cancer”. Feedback on “‘Little evidence’ that moderate mobile phone use is associated with cancer”.